Dawlish is a small resort set slightly back from the coast above steep, red cliffs. It lies on the east coast of Devon not far from the larger town of Torquay and within easy reach of Exeter. Although most architecture in the town dates back to the late Georgian and Victorian periods, there are a few 17th century buildings remaining. The Church of St Gregory was rebuilt in 1438, replacing an older building about which nothing is known. The church stood for more than three hundred years, until it was again rebuilt in 1825. Today there is a varied selection of shops and many cafés and restaurants. A rivulet, known as Dawlish Water or The Brook, runs from Haldon Moor through several villages until it reaches the town centre, from where it carries on out to sea. In early days the town was known as Deawlisc, Celtic for “Devil Water”. Perhaps this was a reference to the fast flowing water which occasionally swept away livestock. This stream was adapted in the early 19th century by adding a number of weirs. This was done to reduce the possibility of flooding in the town. Dawlish Water runs though the town in a trough, and there are several bridges to allow both pedestrians and vehicles to cross. The stream is home to many birds, including black swans, and to fish. Running parallel is a park where the visitor will find exotic plants including palm trees. Known as The Lawn, the park has a bowling green, a bandstand and a hatchery for waterfowl. The earliest settlers in the area lived on the higher ground. These were not only fishermen but also salt makers who would gather salt in rock pools on the coast. Eventually they constructed clay huts, with a hole in the roof to allow smoke to escape, to dry out saltwater to produce salt. These were known as salterns. Salt making in Dawlish ended well before the Norman Conquest, but continued for much longer in neighbouring Teignmouth. In 1044 the parish of Dawlish was part of Edward the Confessor’s private possessions. The king granted the parish to his chaplain, Leofric, and the charter explaining this donation is held in the archives of Exeter Cathedral. Early Domesday Book entries make it clear that Dawlish had a farming community, raising sheep as its main wealth. In the early 18th century Dawlish was a small fishing village. The area was also well-known for its apple orchards and cider production. By this time the Industrial Revolution was underway and the Brunswick Mill was built in 1717 in Dawlish. The mill can still be seen today, complete with wheel and machinery. It was rebuilt in 1825 and functioned until 1959. Dawlish became popular as a holiday resort during the 19th century and was featured in the novels of Charles Dickens. Even Jane Austin mentioned the resort which was becoming a fashionable watering place. The early visitors were aristocrats who came with complete households for the whole summer. They built their own holiday villas which can still be found along Park Road and High Street. Towards the end of the century the railway came to Dawlish, when Brunel planned the line connecting Newton Abbot to Exeter. Much of the route lay along the coast and several tunnels had to be cut through the cliffs. This is still one of the most attractive stretches of railway track in the country. With the introduction of the railway, a different type of visitor began to come to Dawlish. Day trippers replaced the upper class summer visitor and many people who visited decided to move to the town. Consequently a different type of housing was built and many of the earlier villas became hotels and guest houses. Today there are far fewer hotels and guest houses and many have been converted to flats or residential homes. However, Dawlish is still dependent on the tourist industry and there are still amusement arcades, small craft shops and many other establishments catering for the holiday trade. 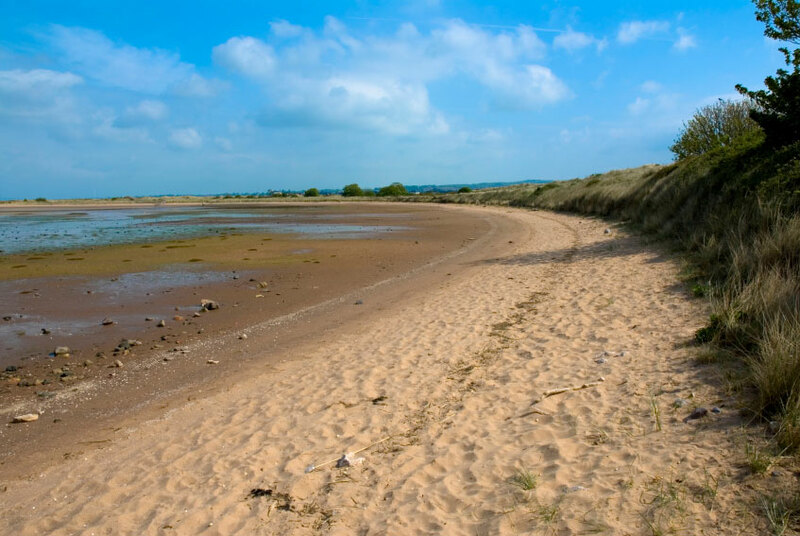 Dawlish Warren is a three mile long sandy coast stretching as far as the estuary of the River Exe. Some of the most beautiful beaches along the coast can be found here.